Apple has issued a statement on their website explaining that the free iPhone 4 case program, put in place to address iPhone 4 attenuation issues, will come to an end September 30th, as previously announced. 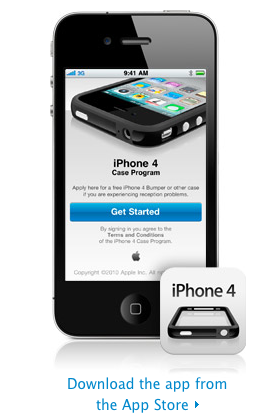 Customers that purchase an iPhone 4 before Sept. 30th will still be eligible for the free case program. So the program is officially ending, but it seems you will still be able to get your hands on a free bumper if you call AppleCare and complain about antenna issues. Previous Entry: FaceTime Integration Coming to Mac OS X and Windows?